AGNES ~ Christine Sherrer Harper, 75, daughter of the late Fred Douglas and Christine Mays Sherrer, was born June 25, 1943 in Washington, Georgia. At an early age, she accepted Jesus Christ as her Savior, and was later baptized at Mount Ararat Missionary Baptist Church. Agnes was educated in Jacksonville, Florida where she graduated from Northwestern High School, Class of 1961. She never met a stranger, was known for her fiery personality and affectionately known as “Sister” to her family. On January 25, 1963, she was united in Holy Matrimony to Jerome Harper. Agnes was employed at Kozy Korner where she served as a store manager and Vice President of the Frankie, Agnes and Dorothy (F.A.D.) Credit Union. 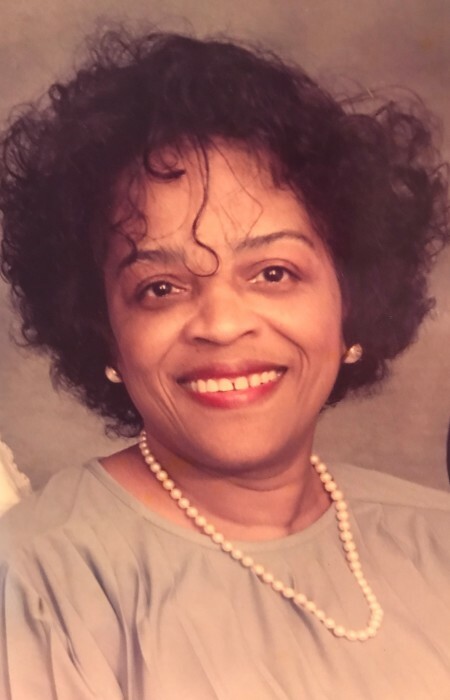 Her life exemplified the fruit of the Spirit as recorded in Galatians 5:22 – 23, “But the fruit of the Spirit is love, joy, peace, long suffering, gentleness, goodness, faith, meekness, temperance.” She served as a Prayer Warrior for WCGL, President of the Black JTA Bus Driver Wives Club, and always had a giving spirit to share with others. After a valiant fight with health challenges, Agnes peacefully went home to be with her Lord. Agnes was preceded in eternal rest by her parents, Fred Douglas and Christine (Mays) Sherrer; brothers, Paul Douglas and Otis Clifford Sherrer; sister, Betty Deloris Sherrer McClary; granddaughter, Taylor Christine Renea Boatman. Those who will forever cherish her memory, loving husband of 55 years, Jerome Harper; daughter, Terry Tyshell Harper (Terrence); stepdaughters, Kathy Harper, Suzann Harper McIntyre, Jonese Harper Owens, Jeralyn Harper; grandchildren, Terrell (Tiffani), Trevaris and Teralyn; great grandson, Taiden; sister, Anita Vivian Sherrer; sisters-in-law, Melzetta Sherrer and Wynester Sherrer; a host of nephews, nieces, cousins, and countless friends, including special neighbors and caregivers, Mrs. Gloria Williams, Ms. Naomi Bartley, Ms. Renell Germany, Ms. Davina Sutton, Century and Liberty Ambulance Services, and ARA Renal Center. Agnes loved her Georgia family visits with Marvin, San and Boot. Celebration of Life Service for Mrs. Agnes Christine Harper will be 10:00 AM Monday, July 16, 2018, Graveside at Edgewood Cemetery, 4519 N. Edgewood Dr, Rev. Tan Moss, Pastor. Family will receive friends Sunday from 3 – 5 PM at The Soutel Chapel. Interment at Edgewood Cemetery. Because of the love of her family, arrangements entrusted to J. E. Fralin & Sons Funeral & Cremation Services ~ 904.924.9400.